Welcome to the May update! Are you ready to engage in the critical conversations that your heart knows are necessary? Are you ready to explore parts of yourself that you've never touched before? Do you have the courage to embody your purpose fully and step into your unique leadership role the world needs right now? 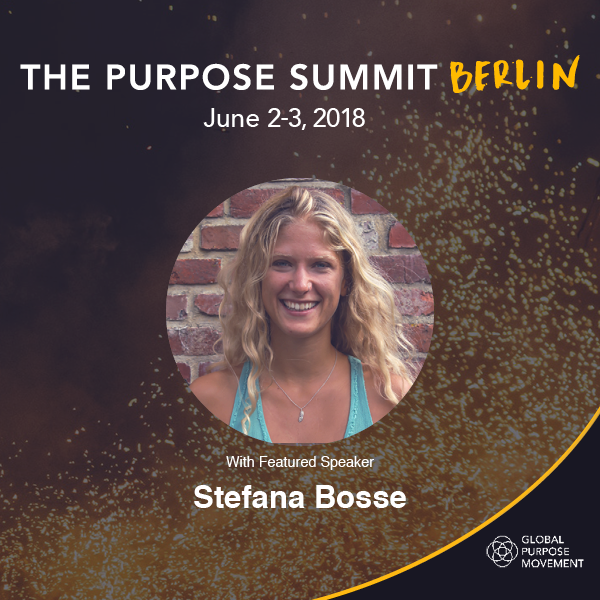 If so, join us on June 2-3 for The Purpose Summit Berlin, where the Psychedelic Society's co-director Stefana Bosse will share her perspective on the role of psychedelics in relationship to purpose. Enter the code PSYCH20 at check-out for a 20% discount. Two days of insight and inspiration. One global movement of transformation. The Psychedelic Society's Psychedelic Experience Weekends allow you to explore the transformative potential of psychedelics in a safe and legal environment. The psychedelic used at the weekends is the psilocybin-containing truffle. The weekends take place monthly in the Netherlands, where psilocybin truffles are legal, in groups of 10-15. Global Psychedelic Survey: Are you planning a psychedelic experience using a classical psychedelic (e.g. LSD, ayahuasca, psilocybin) or related drug (e.g. Iboga/Ibogaine, salvia or Ketamine) in any kind of setting apart from an organized retreat or ceremony? Then Imperial’s Global Psychedelic Survey is your survey! Microdosing Survey: Are you planning to begin a course of microdosing soon, i.e. taking very small amounts of a psychedelic over a given period of time e.g. 4 weeks? Then check out Imperial’s microdosing survey. Ceremony Survey: Are you planning on participating in an organized psychedelic ceremony or psychedelic drug retreat sometime soon? If so, please consider signing up for the Psychedelic Ceremony Study, which will collect data on the psychological effects of psychedelic use in these unique settings. We're pleased to welcome to the team Ivan March as Campaigns Coordinator, Josh Millgate as Lead of Visual Communication and Claudia Zurawell Elliot as Press Lead, so that we're now a team of 9!